Herdrich Petroleum Corporation (HPC) specializes in supplying independently operated stations, assisting independent operators with site selection and acquisitions, and company operating convenience & gas locations. HPC is headquartered in Rushville, Indiana. This family owned company has experienced terrific growth and has become a nationally respected petroleum jobber with a large Midwest customer base who purchase branded and unbranded fuels and shop at their convenience store locations. 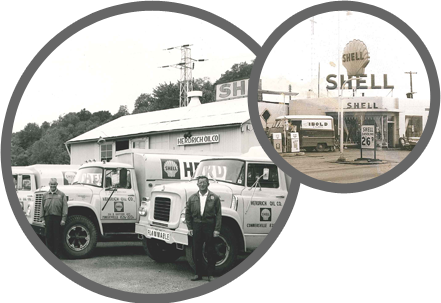 Herdrich Petroleum Corporation’s roots began in 1953 when Jim Herdrich founded Herdrich Oil Company in Connersville, Indiana. In 1971, Browning and Herdrich Oil Company was formed in Rushville by Jim’s son, Bill Herdrich (our President), later to be known as Herdrich Petroleum Corporation. Today, in it’s third generation of leadership, HPC operates 20 QUICKPIX convenience stores in Indiana, employs over 220 employees and provides branded and unbranded fuel to over 140 independently operated convenience stores. HPC offers branded fuel through Shell, BP, Marathon, Phillips 66, Conoco, Sunoco, CountryMark, Exxon, Mobil and Spirit and unbranded fuels from various terminals throughout the Midwest.